The best Car Rental Rates in Ireland. Find B&Bs in other parts of Ireland. 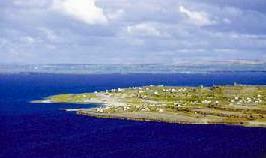 The wonderful Aran Islands are only a short drive and flight from the Waterfront House. Visit the Aer Arann web site. Corrib View, Oughterard, Connemara, Co. Galway, Ireland.